Illustrated talk and discussion by JASNA President Claire Bellanti. We are pleased to welcome former JASNA President Claire Bellanti who will visit the Region and present a talk, “You Can Get a Parasol at Whitby’s:’ Circulating Libraries in Jane Austen’s Time.” Circulating Libraries of the 18th and early 19th centuries were an important source of books to Jane Austen and a strong influence on her writing. The illustrated talk addresses how these libraries developed and functioned as well as how they are used in Jane Austen’s novels. Claire Bellanti is the former President of the Jane Austen Society of North America (JASNA). She holds an MA (European History) from UNLV and an MBA from UCLA. Retired from a 35 year career as a library professional at UCLA, she specialized in public services and preservation storage facilities. In addition to lectures and articles in the area of her professional interests, Ms. Bellanti has lectured and written on the Sadleir Collection of 19th Century Literature, 19th Century Silver Fork novels, and publishing Jane Austen in the 19th Century, using materials located in the UCLA Library Special Collections Department. A member of JASNA since 1987, she has actively participated in local JASNA activities and served as JASNA’s Vice-President for Regions from 2010-2013. 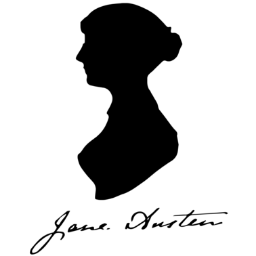 Although it can be difficult fitting more in alongside Jane Austen, her other interests include 19th European literature and history (with an emphasis on Great Britain and Russia), quilting, knitting, and gardening.